As a faithful follower of Dave Ramsey for almost a decade, my family has paid off tens of thousands in debt and built a sizeable emergency fund and if we can do it, so can you! Wondering if Dave Ramsey’s Envelope System is right for you? If you’re reading this post, I’ll assume you’ve heard of Dave Ramsey’s envelope system or the cash envelope system. I’ll also assume you aren’t quite where you want to be financially. Dave Ramsey’s envelope system uses a series of envelopes labeled by category (groceries, auto, clothing, restaurants, etc) and every payday you take out your budgeted amount of cash and divide into the envelopes. You only spend what you have and if it runs out you don’t spend more in that category until next payday. Let’s face it, debt and money challenges are stressful! They can disintegrate marriages and take their toll on our health and our relationships with family and friends. They can lead to things like bankruptcy and foreclosure and other devastating events. If any of that sounds familiar then you’ve come to the right place! 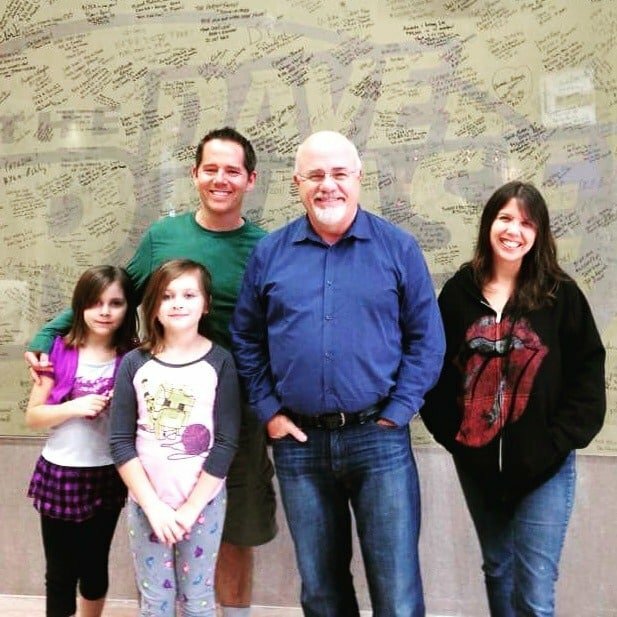 You’ve probably heard of Dave Ramsey, the man who literally saved my family’s financial future. But let’s investigate Dave Ramsey’s envelope system and his overall plan in great detail. Most importantly, let’s figure out why the cash envelope system works and how it can help your situation! Pictured below are my family with Dave on a recent visit to his studios outside of Nashville. Dave Ramsey is the host of the long-running Dave Ramsey show heard on radios nationwide as well as in podcast form. He’s a frequent guest on all the major network news channels. And he’s also a New York Times bestselling author. 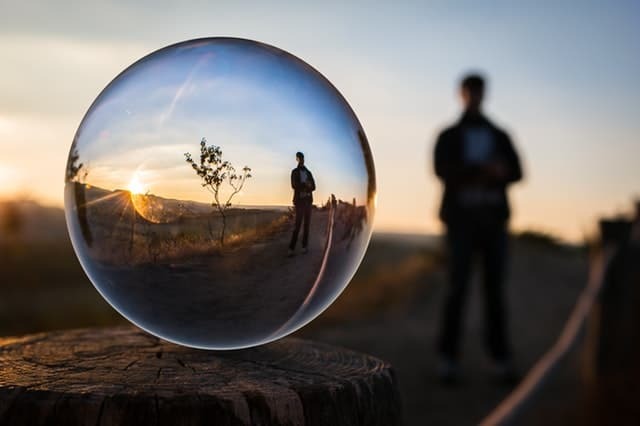 In short, he’s a big deal in the world of personal finance and if you and your family are not quite where you want to be financially, you need to get to know him. Dave got his start famously at a card table in his living room after having become a millionaire and then filing bankruptcy. Thus he’s in a perfect position to give financial advice and tell it like it is; the good, the bad and the ugly. Dave Ramsey’s envelope system is one of the real keys to making your budget work. In fact, it was the turning point in my family’s journey out of financial chaos. Essentially once you are on a written household budget, you decide on a set amount of spending money. This is money for gas, food, entertainment, and pocket money. Rather than just continue to charge these things on a credit or debit card like most of us have done, we pay cash. To make it easier, each paycheck you take out that set amount of money and divide it into individual envelopes. Each spending category gets its own envelope. Once an envelope is empty, you have no more money to spend in that category until next paycheck. Sometimes when you spend all your cash prematurely it can be a harsh reality. It’s easy in those moments to simply borrow from another envelope. It is also easy to think you can just charge it on your debit card and hope your spouse doesn’t notice. In those moments, it’s critical to stay focused and disciplined. Stay focused on the long-term goals and the big picture. And next pay period, I’ll bet you’ll evaluate your spending choices more carefully! Do understand that for things like rent or mortgage, utilities, and other recurring bills, I simply pay those online using my credit union’s online payment systems. There’s no point in paying cash for set recurring expenses that aren’t discretionary. Thus for Dave Ramsey’s envelope system, we’re talking about your personal spending. There you have Dave Ramsey’s envelope system. But listen to Dave explain it himself! Does the envelope system work? You see, psychologically, when we just reach for plastic to pay, we lose a true sense of the value of the item. We skip the evaluation process in deciding if we really need that thing. We also typically lose track of how much we’ve spent so far that month. Many of us have heard that we tend to spend between 12-18% more when we use credit or debit cards instead of cash. But a recent study by Avni Shah, assistant professor of marketing at U of T Scarborough, found that “You feel something when you physically part with your money, and there are different levels of pain depending on the type of payment”. In other words, when you reach for plastic, you’re less apt to really care about that purchase or really feel the true value of the item. Shah went on to say “There are shorter product life cycles (when paying with plastic) and if consumers are feeling less connected to the products they’re already buying, just add easier access to credit and higher consumer debt levels and it’s a toxic combination”. Between overdraft “protection” (protection for whom?) and revolving credit, it’s all too easy to just keep spending like you’re in Congress! Thus the cash envelope system keeps us in check. It holds us accountable. We’re more apt to scrutinize just how bad we want that Starbucks coffee each morning. And by simply looking in our wallet, we know exactly how much we have left to spend. You don’t have to get fancy with your envelopes, but Dave does have a very nice Starter Envelope System available on Amazon Prime for less than $20 bucks, so check that out if you need help! What are the categories for the envelope system? Bear in mind that what your family spends money on may be different from min. For example, I cut my own hair and my wife goes only a couple times a year and has a friend who is a stylist. Therefore, our hair-cutting expenses are low compared to many. Beyond that, my wife and I have one called Family Fun which is what we use for spending (usually on weekends) for anything from a present for birthday parties my daughters get invited to, to going to the zoo or children’s museum, etc. How do you do the envelope system? Start with your monthly budget and determine how much cash you need for your different envelope categories. How much that is will depend a great deal on both your income and if you’re trying to get out of debt (more on that below when we get into Dave Ramsey’s Baby Steps). You take that money out of the bank each payday and divide it up among your envelopes, transferring from the envelopes to your wallet as needed. That’s how we do the cash envelope system, but in the early days of following Dave Ramsey’s program when we were deep in debt, we operated on far less; probably less than half that. But the beauty of the baby steps journey is that as you get your finances more in line, you are able to let off the intensity a little and enjoy the journey. After all, if we can’t enjoy at least most of the journey, why are we doing it? One thing that helped us tremendously is finding small ways to quickly and easily generate extra income. If you have just a little bit of extra time you owe it to yourself to check out my 53 ways to Earn Extra Money on the side each week! Can I borrow from one envelope for another? The short answer is it’s your money; you can do anything you like. That being said, what we’re trying to do with the envelope system is to learn to be intentional with our money, make better choices, and to be more disciplined. If we budget in $60 for my weekly personal spending and I go out with my buddies one night and spend it all only 2 days into the week, I could “borrow” money from one of the other envelopes. But what happens when that other envelope then runs out early? In short, borrowing money is borrowing money. Just because you’re borrowing it from yourself and not paying interest doesn’t mean it’s not technically a form of debt. So avoid the urge to borrow from one envelope to another, be disciplined and intentional with your spending choices, change how the envelopes are allocated if you notice a consistent shortfall, and then, you’re much more likely to find your way to financial success. How does online shopping factor into the envelope system? More and more people these days shop on Amazon and other online retailers and that’s not likely to do anything but increase. So in this case, we won’t set aside cash for online spending, but we will budget it into our monthly budget as a set expense, and we will have a set amount for that spending each month. Thus, you’ll want to know that amount, have it in your budget before you decide how much to take out for your cash envelopes. The beauty of cash envelopes is that it’s incredibly easy to see how much is left. Thus, with online shopping, the budget nerd in your family will need to keep close tabs on that and update the budget with every purchase to make sure you don’t go over. Then, just have the discipline to stop spending when you hit your monthly allowance. Make no mistake, you WILL do better using cash. As I mentioned above, being able to see how much cash you have left causes us to scrutinize our purchases much more thoroughly. Do we hit up that expensive buffet or just swing by In-N-Out Burger? But I also recognize that in today’s “modern” world, many people don’t carry cash. Or maybe you live in a big urban city where carrying a lot of cash just isn’t safe. So to do the envelope system without cash, you’ll want to follow the same system, but have each envelope category on your monthly budget. You could even go so far as to open a 2nd checking account and each payday, transfer money from your primary checking into the envelope spending account and use the debit card for that account for all your “cash” spending. But even with just 1 checking account, you’ll want to set a budget for spending in each category (by week, month, or 2-week increment depending on how you have your budget set up). The only downside is you’ll want to be monitoring charges on your bank’s website and updating your budget more frequently. That is especially true if 2 spouses are each charging instead of paying cash. Trust me. My wife and I did the cashless system at first and it was easy to lose track of spending and we did not get the same traction in paying off debt that we did when we switched to Dave Ramsey’s envelope system. But with discipline and focus, you can do it, and any system of being intentional with your money is better than none. What should I do with leftover cash at the end of the month? I don’t know about your house, but finding ways to spend money has never been a problem for my family. Thus, we don’t have this problem. I would start by simply leaving it in the envelopes and then just know you have a little surplus for the next pay period. If you consistently have money left over that is a clear indicator that this category doesn’t need as much as you originally allocated. If you have any debt, I would most certainly use the excess to pay off debt and just reduce how much that envelope gets moving forward. No debt? That’s great! But I bet your retirement accounts or kid’s college accounts could use a boost. If nothing else, do you save each month for Christmas Spending? If not, start that today, and extra cash from your envelopes is a great way to kick that off. What envelopes does my family use? We’ve played around with getting more categories and more detailed, but for us, simpler was better. In short, do what works for your family and what will keep you on track the most. Neither my wife or I spend a lot on a regular basis on clothing or shoes. Thus we don’t have envelopes for that. When it is time for those expenses, we talk about it and budget it in for the next month. You or your spouse’s spending habits might be very different! My wife and I have been on his plan now for almost 10 years, but we weren’t following Dave Ramsey’s envelope system at first. We thought we were smarter than Dave. While we did get rid of our credit cards, we continued to charge our set spending amounts for food, gas & family spending on a debit card. Somehow we just weren’t gaining the traction we needed. Finally, we decided to give Dave Ramsey’s envelope system a try and that’s when the ball really started rolling for us. We got out from a home we couldn’t afford and paid off over $60,000 in debt and have never looked back! Dave Ramsey’s complete plan is contained in his best selling book, The Total Money Makeover. It’s no coincidence he’s sold millions of copies. I’ve scoured the pages of my copy over the years. Even though I’ve spent hundreds of hours reading his posts and listening to his show, I still glean lots of great tips from this book; even today. 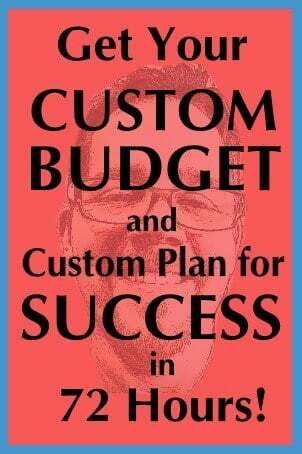 While there’s a great deal of free content on my site and others about how to get out of debt and build your financial future, I strongly urge you to get a copy of his book for yourself! What are the Dave Ramsey 7 Baby Steps? As with any task or goal that seems so large, it can’t be done, just break it down into baby steps! Dave Ramsey rightly realizes that a financial mess isn’t technical, it’s emotional. Thus the process of cleaning up a mess is incredibly intimidating. He breaks down the journey out of debt and into financial success into a series of small, very achievable, baby steps. When something is daunting, intimidating or just flat out challenging, we’re more apt to give up or procrastinate. We tell ourselves we “I can’t do it”. “It’s not realistic”. In truth, we’re just scared. Fear can be a powerful motivator when used correctly. But you can’t let it control or limit your own actions. If you struggle with the paralyzing effects of fear, take a moment and check out one of my most shared posts about the benefits of Facing Your Fears. Not on a written household budget yet? Being on a written budget each month that you and your spouse agree to in advance is critical for your financial success. 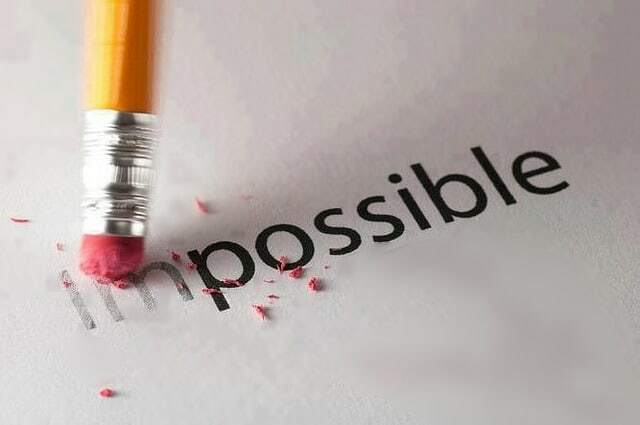 It will be almost impossible to live your dreams and truly get ahead. Dave Ramsey’s envelope system may be the key to dialing things in, but the budget is your blueprint. 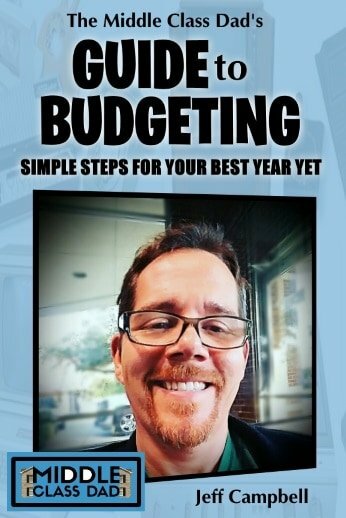 If you aren’t sure How to Make a Budget, I have a previous post that walks you through those very steps and I highly recommend you take a moment and review that critical process. OK, so you’re ready to budget but have no idea where to start or what tool to use? I have a copy of my Budgeting Spreadsheet available at no charge – a key step in ensuring you have enough money each month to save for retirement! Want an easy and cheap way to cut your bills? I just signed up with BillXpertz. They negotiate with the bill companies of your choice. If they can lower your payments, they take a small percentage of the savings. If they can’t reduce your bills, it costs you nothing. Talk about easy money! Check out BillXperts and see if they can’t save you money too. Some folks have saved thousands! Do you have questions about Dave Ramsey’s envelope system? In this post, we took an in-depth look at famed personal finance expert Dave Ramsey and the cash envelope system he famously advocates for. We explored why paying cash helps save you money, the best ways to get out of debt and cut spending, as well as all of Dave Ramsey’s Baby Steps. Specifically, though, we looked at Dave Ramsey’s Envelope System and how you can easily implement it into your family. This 1 small move was at the heart of my family’s journey to financial success and I know it can help you too! The app Trim automatically looks at your monthly bills & spending and then cross-checks that with savings programs almost all vendors have. It’s a great way to put a few extra bucks in those envelopes each month! What’s the biggest financial challenge you’re facing right now? If you like this post, please follow my Budgeting board on Pinterest for more great tips from myself and top financial experts! While I have years of successful financial & budgeting experience and run several million dollar businesses and handled the accounting, P&L and been responsible for the financial assets of them, I am not an accountant or CPA. Like all my posts, my posts are my opinons based on my own experience, observations, research and mistakes. While I believe all my personal finance posts to be thorough, accurate and well-researched, if you need financial advice, you should seek out a qualified professional in your area. Mr. Campbell, good article sir. Want to warn folks before jumping on these cost savings companies that some operate where they will ask you to pre-pay the savings up front before you see those savings. Some folks have an issue in paying that down. I called one such company to find them doing that so I declined further service. Thanks for taking the time to comment. If you mean companies like Shrink-a-bill or bill-expertz I recall when I used them that they told me exactly how much I was going to save before I paid anything. If that’s not your experience I’d love to hear about it. If it’s other companies you’re referring to, especially if I have ever mentioned them, I’d love to know who specifically as my goal is always to save people money and help them manage it better. I am trying the cash only right now and I have to say I spend less than using my cc (and paying it in full every month). The other perk; talking to people! While paying for gas with cash could be seen as an inconvenience, I thought it was nice to talk with the cashier rather than punch numbers into a keypad. Great write up on the envelope system! Thanks for commenting. I’ve been doing the cash system for a long time but I don’t ever stopped to think about how it increases personal interaction. Thanks for sharing that! Great tip!